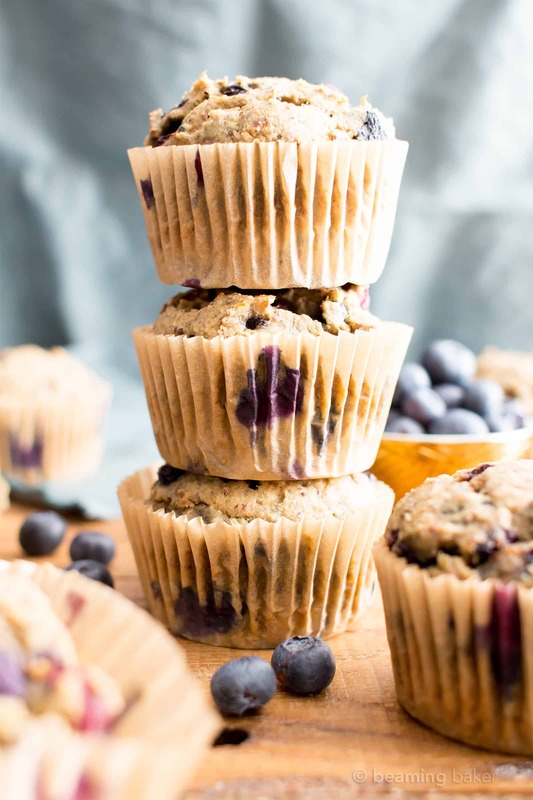 Healthy Banana Blueberry Muffins Recipe (V, GF): an easy recipe for deliciously moist banana muffins bursting with fresh blueberry flavor! Vegan, Gluten-Free, Dairy-Free. 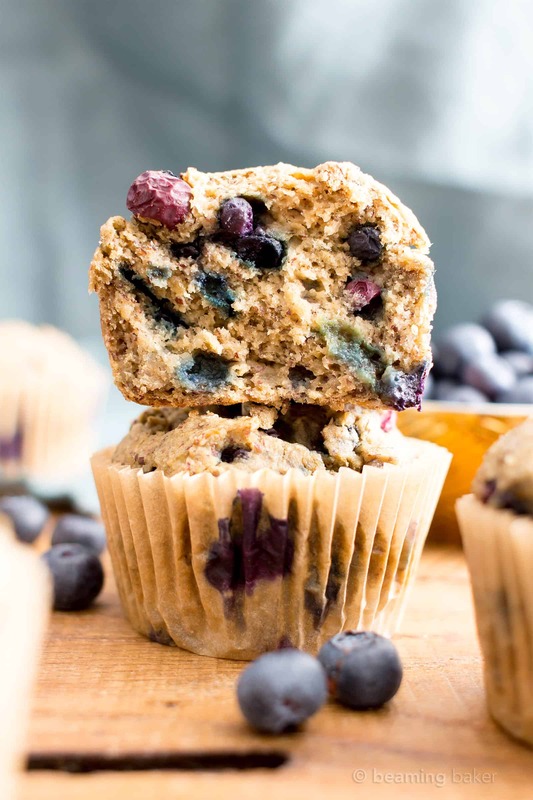 Healthy Banana Blueberry Muffins Recipe. Well, well, well. We meet again. Okay, we’ve never met. But I just wanted that start to be appropriately dramatic. If y’all knew the shenanigans we’ve been through these past few days with blueberries!! Ah, blueberry shenanigans. When shall you stop tormenting us? Erik and I’ve recently had a ridiculous time hunting down fresh, tasty and, well, non-spoiled blueberries. Everywhere we went, the blueberries were past their… edible prime. We searched high and low. We even searched through my mom’s fridge (Sorry, Mommy!). We even searched through my sister Jenny’s fridge (Sorry, Jammy!). 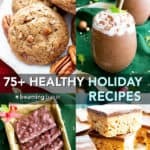 We even made a pit stop and baked these gluten free banana oat muffins, then gluten free dark chocolate muffins, and then this best vegan gluten free moist chocolate muffins recipe. 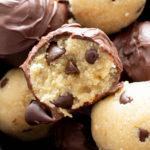 For energy, a morale booster, and some good muffin mojo, of course. bought even more because: caution. Hehe. Then then, I started thinking about all the other spring- and summer-ready recipes I could make with my ample blueberry supply. Any guesses as to what I made? Before I began baking, I requested Erik’s fine recall powers (he has the best memory ever… it’s pretty annoying) ???? and suggested we rap about reader favorite recipes. Why does it give me so much joy to say “rap” instead of talk? 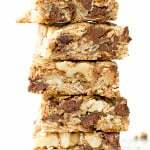 We rapped about the most popular recipes on the site, ranging from double chocolate banana muffins to banana chocolate chip oatmeal breakfast bars to paleo apple crisp and easy vegan peanut butter banana breakfast cookies. We went through a ton of feedback and requests from readers and settled on a few upcoming blueberry recipe ideas. We even had some time to test them. 😉 And eat them. Come on, you’re totally intrigued right? Are you on the edge of your seat waiting for a hint? (Yep, I really do need to find some hobbies). Alright, here’s a hint… crispy. breakfast-y. blueberry-y. (I just had to tack on that extra y, for consistency, of course!) And that may or may not be one recipe. Just know, they’re amazing. What could possibly beat an edible accomplishment? just the reason to go buy fresh blueberries! 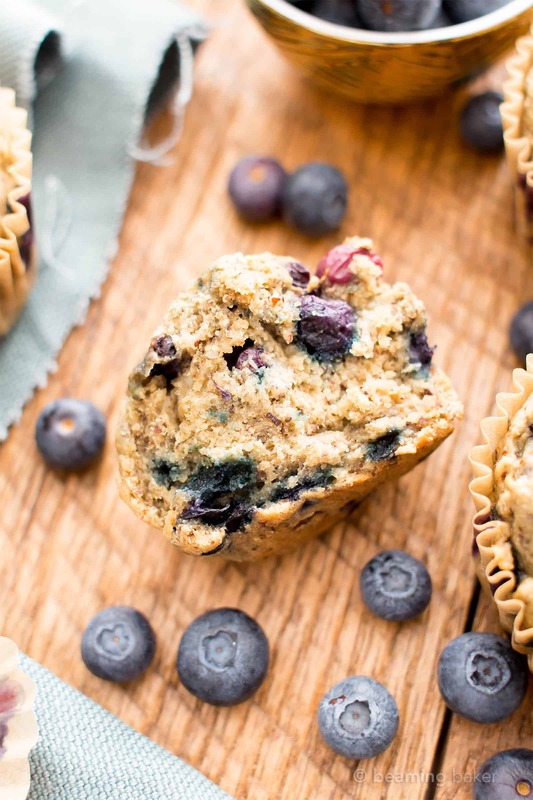 Are you ready for some homemade blueberry muffins goodness? Let’s do this! You grab the ripened bananas, I’ll grab the fresh blueberries. 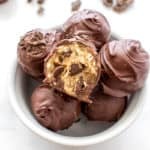 Thank you for stopping by and creating these tasty, guilt-free treats with me. I truly can’t wait to hear what you think! and my favorite Vegan Gluten Free Banana Bread Coffee Cake Recipe! 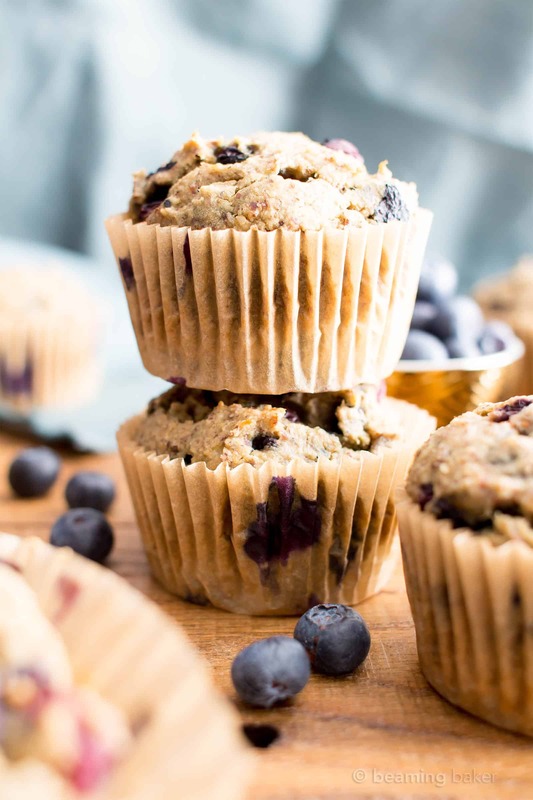 Healthy Banana Blueberry Muffins Recipe (V, GF): an easy recipe for moist banana muffins bursting with fresh blueberry flavor! 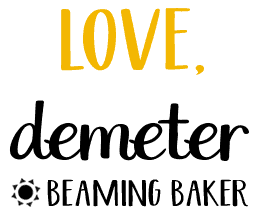 Vegan, Gluten Free, Refined Sugar-Free, Dairy Free. 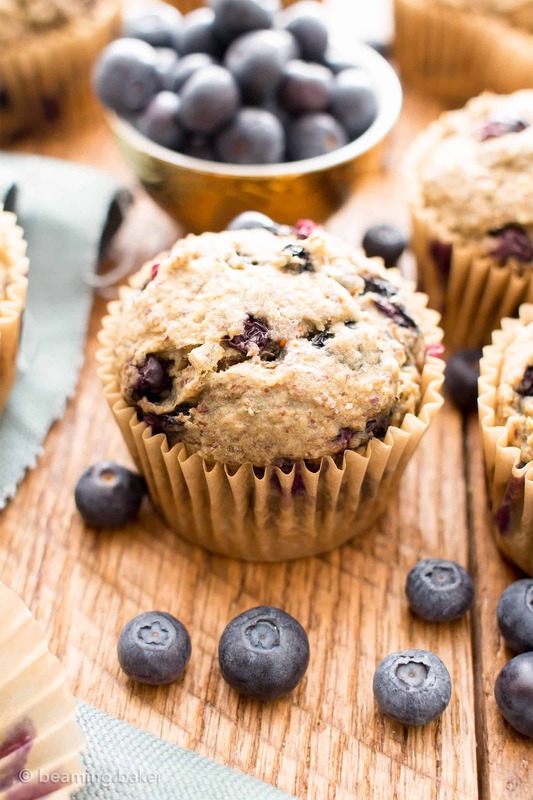 Recipe type: Muffins, Breakfast, Gluten Free, Vegan, Whole Grain, Healthy, Dairy-Free. Add peeled bananas to a large mixing bowl. Using a sturdy whisk or fork, mash bananas until smooth. Add the oil, sugar, flax egg, and vanilla. Whisk until well incorporated. Add oat flour, almond meal*, baking powder, baking soda and salt. Whisk together until just incorporated, making sure no flour patches remain. Fold in blueberries. 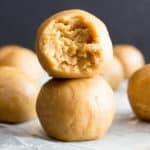 Using a large scoop, scoop and drop batter evenly into muffin cups. I use this ice cream scoop for easy scooping and a beautiful round top**. If not using the scoop, smooth batter into an even layer, with a domed top (rise) in the center. 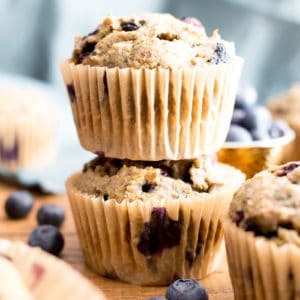 Optional: press blueberries on top of the muffins. - Adapted from my One Bowl Gluten Free Vegan Banana Nut Bread and my Moist Banana Chocolate Chip Muffins. **I like to use this ice cream scoop to scoop and drop one scoop into one muffin cup. This scoop helps control the batter, prevent messes and gives you a nice rounded top. Tip: after dropping scoops, lightly tap the pan to even out the batter. 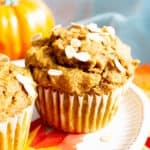 - More muffins + quick bread recipes: maple pecan pumpkin muffins, double chocolate banana muffins, vegan chocolate banana nut bread. 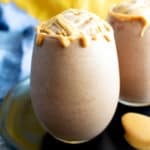 Hi there, these sound delicious and a perfect grab in the morning. 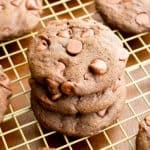 I was wondering, if I made a really big batch can put some in the freezer until needed? Hi Stacey! Yep, that should be fine. Hope you enjoy them! 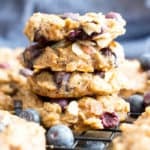 Hi, would I be able to substitute oat flour with spelt flour instead? 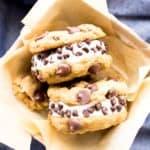 I just made these and they are very good. I can’t have oats so I sub that for a mixture of millet, amaranth and arrowroot flour. I also only used 1/2 cup of coconut sugar. Thanks for the recipe!